Day 37 – Ghetto-bot ROLL OUT! We finally got the robot back in our hands. Today is our first day pulling apart the robot and its arm, and to say the least, it looks like something out of the ‘hood’. The whole camera assembly was being held on by zip ties and duct tape – some redesigns on the assembly might be in order. Ryan and I have been breezing through the openCV booklet. Also in the news, Mr Elias suggested that we join a competition called “Young ICT Explorers” or YICTE. The objective of this tournament is to build the most innovative robot as possible. 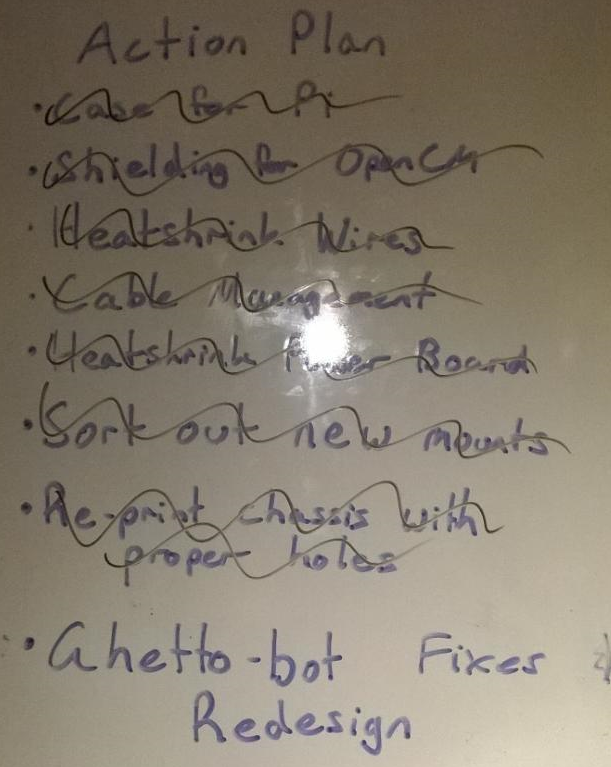 To do this we will have totally redesign the robot and all the code that goes with it.